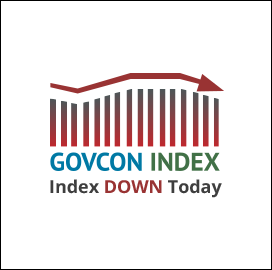 The GovCon Index and major U.S. indices all closed down after a previous week of strong performance. 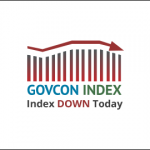 After three up days the Executive Mosaic GovCon Index pulled back to end the day down 0.762 points to 95.683. Decliners outpaced advancers 3 to 1. Navistar lead the Index posting a 12.81 percent gain as analysts upgraded the stock to outperform. The three U.S. indices moved down slightly on the day giving back some of last weeks gains as investors watch developments on the geopolitical front. During the trading day WTI dipped below $47.00 mark to settle at $47.40 per barrel down 0.55 percent as traders react to over supply on the global market and news of several countries breaking ranks with Qatar.